X Factor 2017: Cheryl to return for judges houses? Cheryl could be making a special appearance on The X Factor this year, as a guest judge. Cheryl might return to The X Factor this year as a guest for judges’ houses round. Simon Cowell is reportedly trying to persuade the former judge and now new mum to appear on the new series this autumn with a huge offer. The source added: “He’s putting no pressure on her to make a decision yet. However, he has also said she can have whatever she wants and that everything can fit around her. This would be Cheryl’s first telly appearance since giving birth to baby Bear with boyfriend Liam Payne. A spokesperson for Cheryl declined to comment. 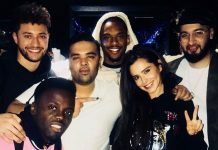 X Factor winners Rak-Su ‘set to collaborate’ with X Factor judge Cheryl! 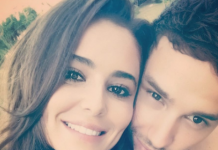 X Factor 2018: Liam Payne tipped to join Cheryl at Judges’ Houses!